In what may be one of the largest settlements of its kind, home furniture giant Ikea has agreed to pay $50 million to the families of three young boys who died when Ikea-made dressers toppled over onto them. The three boys all lost their lives in separate incidents – one in Minnesota, one in Washington and another in Philadelphia. All three cases involved one of Ikea’s Malm dressers, an assemble-it-yourself chest made of particleboard and fiberboard. 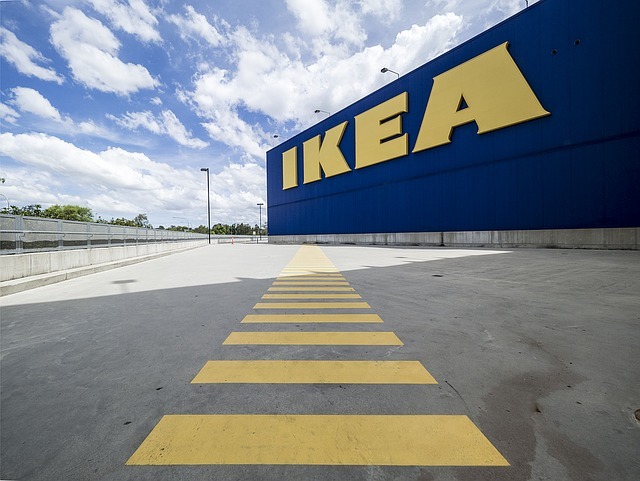 While Ikea maintained that it was the families who were at fault for not anchoring the furniture as suggested in the instruction manuals, lawyers for the families said previously confidential documents provided them with strong leverage to reach a settlement. Did Ikea Know of Potential Dangers? Four other deaths involving Ikea dressers that tipped over – the first in 1989 – had been reported to the U.S. Consumer Product Safety Commission. In June, the company recalled 29 million of their dressers, a quarter of which were the Malm style. Ikea went on to offer free wall anchors to customers as well as providing a one-time free in-home installation service. The $50 million will be divided equally among the three families. Also, Ikea is donating $50,000 to three children’s hospitals in memory of the three boys and a $100,000 donation to Shane’s Foundation NFP, a children’s safety nonprofit. How Common are Child Deaths From Furniture Tip-Overs? Sadly, the incidents involving the three children are not uncommon. According to statistics from the Consumer Product Safety Commission, a child dies every 2 weeks from a piece of furniture, television or appliance tipping over on them. Most of the victims are between 3 and 5-years-old. As we’ve written before, the effect of a wrongful death on a family can be one of absolute devastation. While we’re all different and react as such, many parents who have experienced the loss of a child often report waves of grief, and relive the traumatic events that led to the injury. While nothing can fill the void, legal representatives of the victim do have the right to seek compensation. If your family has been touched by a wrongful death, get in touch with us here at Barber & Associates. We’re one of Alaska’s leading wrongful death firms, and have a strong reputation for representing the families of victims of all types of fatal accidents.